After being released for BlackBerry 10 a month ago, Starbeams is now also available on Windows 8. 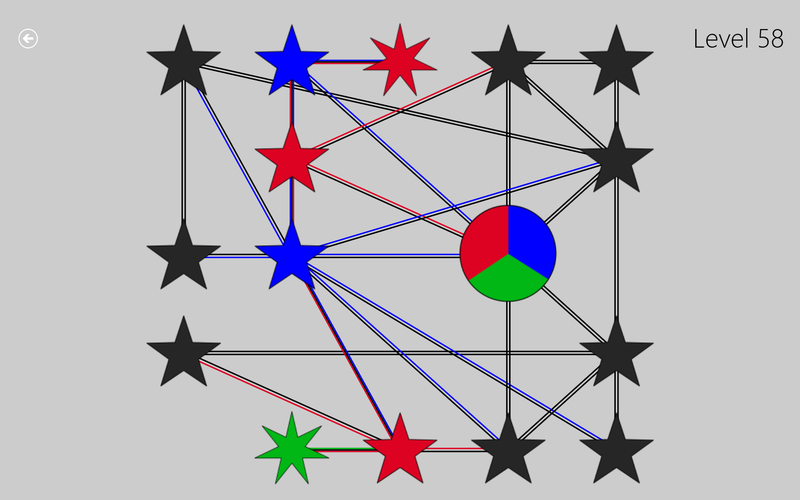 The game has 100 levels, and requires you to assign colors to each star in order to ensure that none of the stars are connected to another star of the same color. 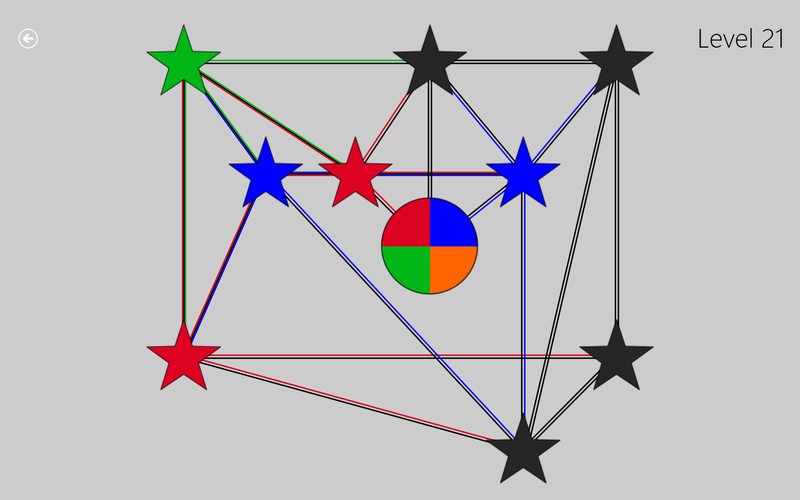 The game starts off easy, but quickly gets more complex, adding more colors and seven pointed stars that can not be changed. As with the BlackBerry 10 version of the game, the first 25 levels of the game are free, while the full game can be purchased through a one time in-app purchase of $2.99USD. Currently Starbeams boasts 100 levels, but that number is sure to grow as the game is updated in the coming months.